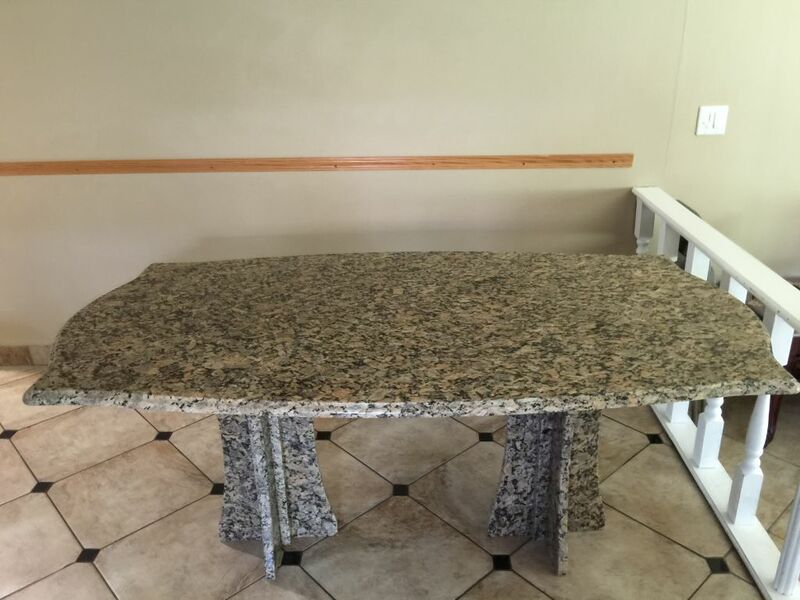 This is a custom Make Granite table with Classy Ogee Edge and 2 Granite X shaped and arched Bases . The customer is very happy about this piece of art Table . Sterling Heights , Michigan .